Group of ladies dressed for the occasion. 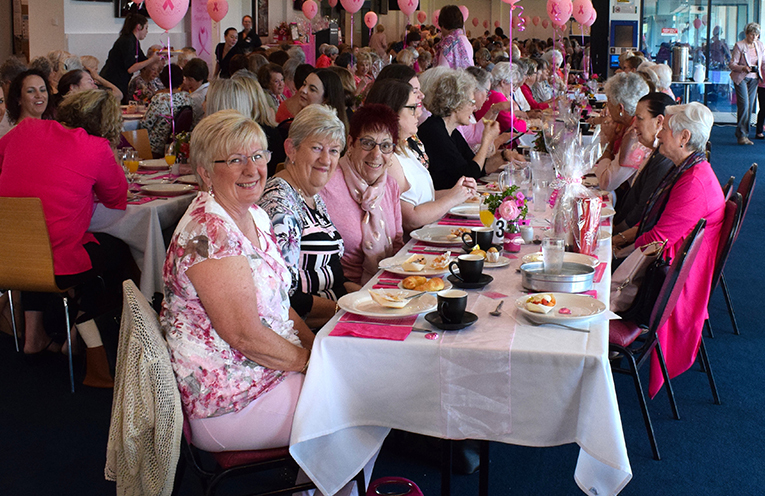 THE Bay once again pinked up for the Tomaree Breast Cancer Support Group’s annual In the Pink Fundraising Breakfast which was once again a sell-out. President Taurie Lalor welcomed the 321 guests and thanked them for their support along with all the amazing local businesses and Nelson Bay Bowling Club where the event was held. The event is now in its 16th and the Breakfast is one of two major fundraisers the group hold each year the other being their Golf Day in March. not-for-profit group’s members undertake supporting breast cancer patients on the Tomaree Peninsula. passion to educate refugee women living in the Newcastle area. 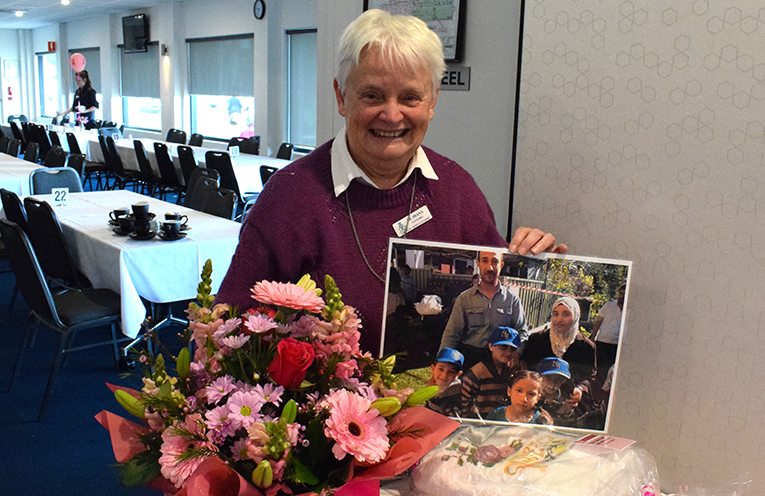 Sister Di, who is often called a Newcastle Hero is the founder of Zara’s House at Jesmond where newly arrived refugee women and their children can connect with the local community. Syrian, Afghani and African women learn English and develop literacy competence in their mother tongue at Zara’s House which is close to the homes of many refugee families. The morning finished with the popular giant raffle for which tickets were also sold out. Christine Walton of the Tomaree Breast Cancer Support Group Told News Of The Area, “Over 70 prizes donated by local businesses, the community and members were up for grabs, we are very grateful for this generous support. If you require more information re the assistance Tomaree Breast Cancer Support Group offers or would like to join the group as a volunteer phone 0431 864 778.